Our team of specialists can show you how! Logik has over 20 years of experience supplying network photocopiers, multifunctional printers (MFPs) and scanning solutions across the most demanding sectors of industry. We focus on providing exceptional levels of customer support and efficient delivery. If your requirements are for one efficient office printer or photocopier, MFP (multi-functional printer) or a bespoke Document Print Service we will work with you and design a solution that can be integrated into your existing workflow and help you make cost and time efficiencies. Similarly, if you need several network printers, photocopiers or MFPs we can find a print management system that will suit your business however large or small. 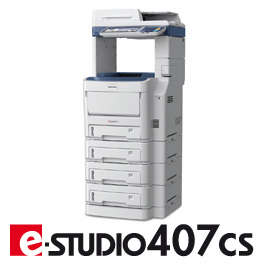 Logik supply many brands of office printers, photocopiers and MFPs including Toshiba, Canon, Sharp and Ricoh. Our Key sectors Include: Education, Legal, Engineering & Construction, Property, Creative, Health & Pharmacy, Finance & Insurance, Defence & Retail. A consultation with one of our experts can very quickly point you in the right direction. Let us show you how a different approach can make a real difference.